There’s no stopping #FCSP With their own fate firmly in their hands, the #BoysinBrown look for more points away at #FCK and their fifth straight win. 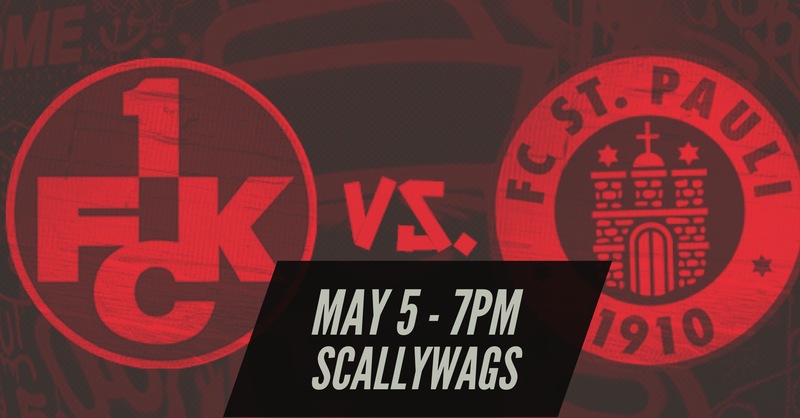 Join us at Scallywags at 7p.m. for the match, some good food and cheer as we talk all things #FCStPauli #Bundesliga2 #Hamburg #HumanRights and they sad fact there are just three matches left in this roller coaster season.